Every pet parent of a cat probably has a toy "box" filled with small jingle balls, feather toys, and other objects that Kitty played with for a few minutes then quickly lost interest in. For this article, we're going to explore the best large cat toys every kitty needs to help stimulate those natural instincts and to make playtime last longer than five minutes! If your cat loves those tiny tunnels, she'll have a blast in this extra large, extra long 3-way Cat Tunnel. 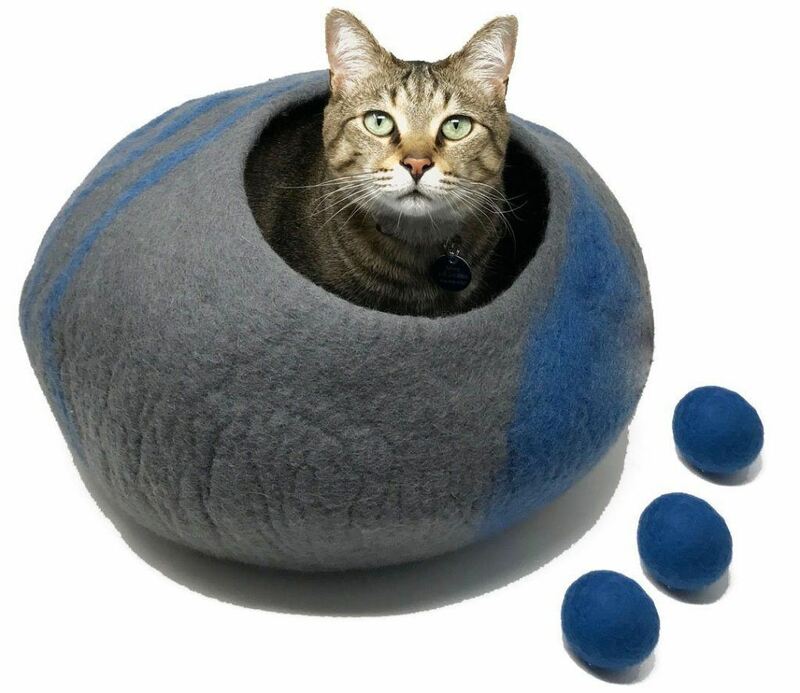 Made from durable crinkle material with 12 inches of diameter and almost five feet of tunnel fun, this extra large cat toy is definitely one worth investing in. Stairs, stands, hammocks, scratchers and more, the Ollieroo Cat Climbing Tree Tower is one large cat toy your feline will love to own. Perfect for kittens or cats under 15 pounds, this feline play center has multi-levels and varied scratching surfaces, a perfect little hut for nap time and hanging ropes so she can use her swatting and batting skills. If your cat is more of an "open-sleeper" the cozy plush hammock is sure to fit the bill. Cats and cardboard boxes go together like PB&J. But who wants to live with a plain ole' boring cardboard box in their home decor? Thanks to Kitty Camper, cardboard playtime fun has gone to a whole new, stylish level. Made from 100% recycled cardboard and non-toxic, water-based ink this playhouse is sure to have your cat having a blast all the while keeping your furniture safe from rips, snags and tears. The fun design with peek-a-boo holes is super-strong for heavier cats and can be flattened for easy storage. Not only that, but it comes in many different colors and styles! The sturdy design of the PetFusion Ultimate Cat Scratcher Lounge is a great way for your kitty to exercise its muscles while clawing on a safe surface. The heavy corrugated cardboard is made from recycled materials and non-toxic cornstarch glue. The innovative "figure-eight" design allows for both resting and optimal scratching. 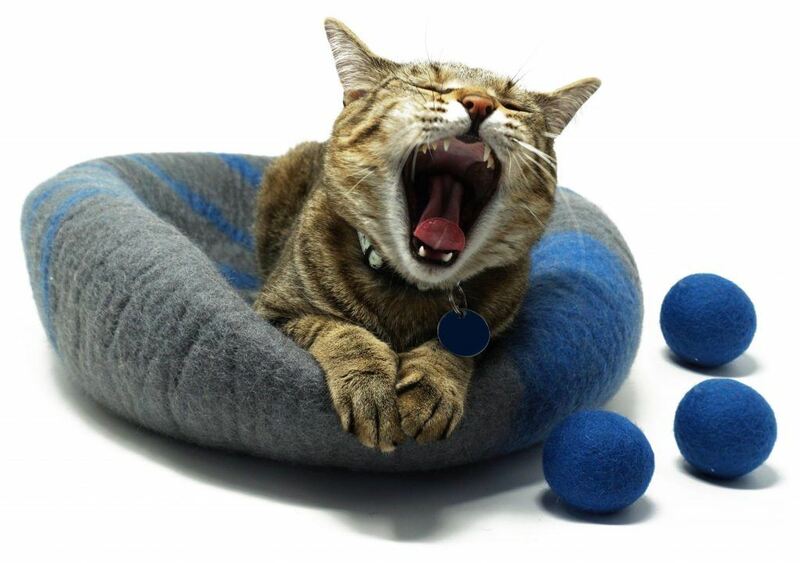 Featured on Animal Planet and the winner of the 2015 Eco-Excellence Award, this best large cat toy is sure to please even the finickiest of felines. Cats love to scratch so why not give them a safe place of their very own to do so? The Furhaven Tiger Tough Cat Tree is designed with the nature of the cat in mind. The long posts are covered in both carpet and sisal to provide varied scratching surfaces and the durable hanging ropes allow for the action he is longing for. In addition, the multi-platforms gives your pet many levels to rest and view the world from and the cozy house is sure to be the favorite place to take a nap after a long play session. o encourage more mental stimulation, the Cat IQ Busy Box, built into the tower, is also great for Kitty to practice his hunting abilities. This tower is perfect for homes with more than one feline companion! Manufacturers of cat furniture know that some pet parents simply don't have the room in their homes for big cumbersome cat trees or kitty dens. Fortunately, the Curious Cat Cube can double as a footstool, as well as a cozy hangout for your feline companion. The brown faux suede is sure to match any decor while kitty lounges either on top of the unit in the fleece bed or inside the cube for extra privacy. In addition, the whole den folds up for easy storage or to move to a new location. Both cats and kittens love to chase and swat at moving objects, but the trouble is those jingle balls and furry "critters" usually get lost under the furniture. Well, indulge your feline in some stalking fun with the Petmate Crazy Circle. 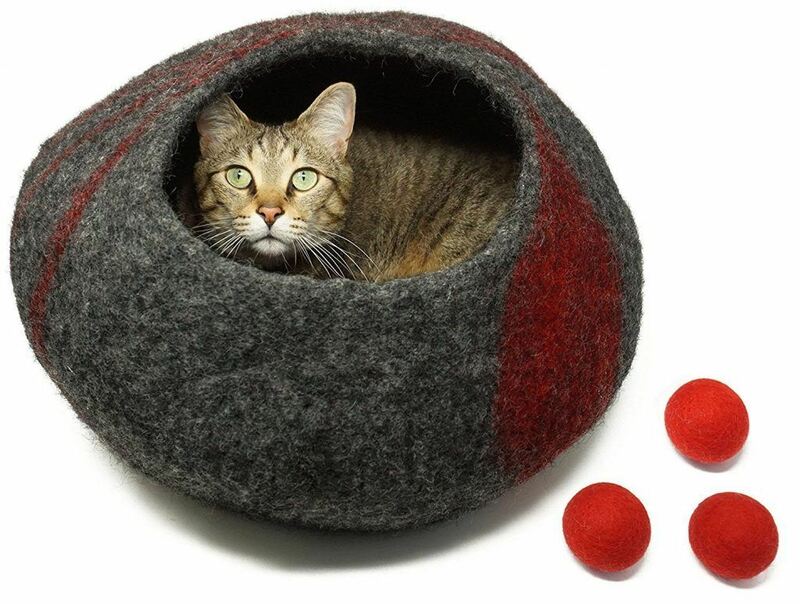 This large cat toy ring keeps the ball safely inside the unit while it zips around the track. 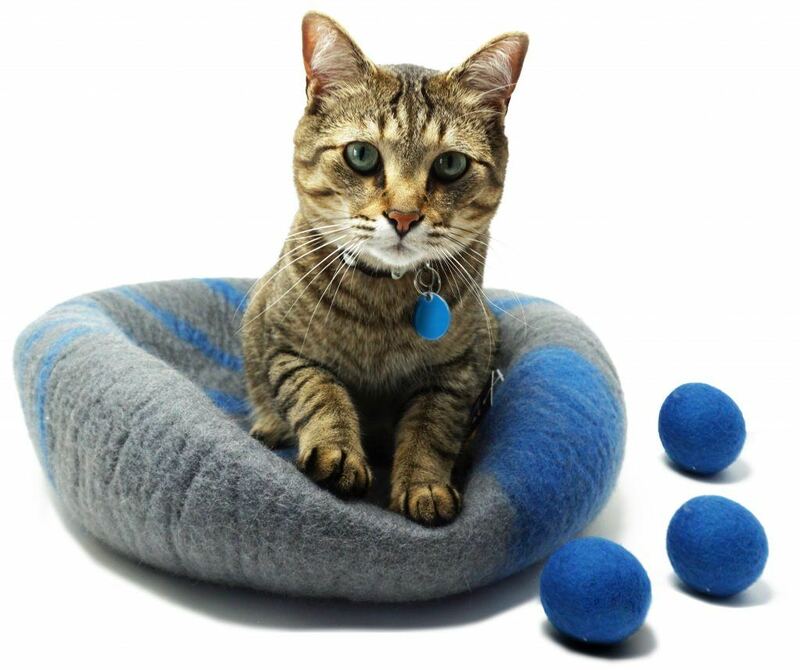 Made from durable plastic with swatting-holes on the top, your cat will be entertained for hours. Think exercise wheels are just for small rodents? Think again. The One Fast Cat Exercise Wheel 48 inch diameter wheel provides your indoor cat with the exercise it needs to stay in tip-top shape. Made from recycled plastic with a 10 inch running "tread" this sturdy toy can support cats up to 25 pounds. However, it is also light enough to move around and has EVA foam for a non-slip and non-catch surface. Even though your kitty doesn't know it yet, these large cat toys are sure to bring your pet hours of fun and enjoyment. Grab one (or all) of them and let your cat have the time of it's life each time she jumps, pounces, plays, scratches or lounges.